* You will need to book your flight into Honolulu, Hawaii. The airport code for Honolulu International Airport is HNL. * Arrival day is first day of retreat and departure is the last day of the retreat. * We will provide ground transportation if you arrive on the first day and leave on the last day of the retreat; however, if you plan on traveling on different dates, you are responsible for arranging your own ground transportation to and from the airport. * Please let us know once you have booked your flight. Please forward your travel itinerary to us at least 1 week before your scheduled arrival. 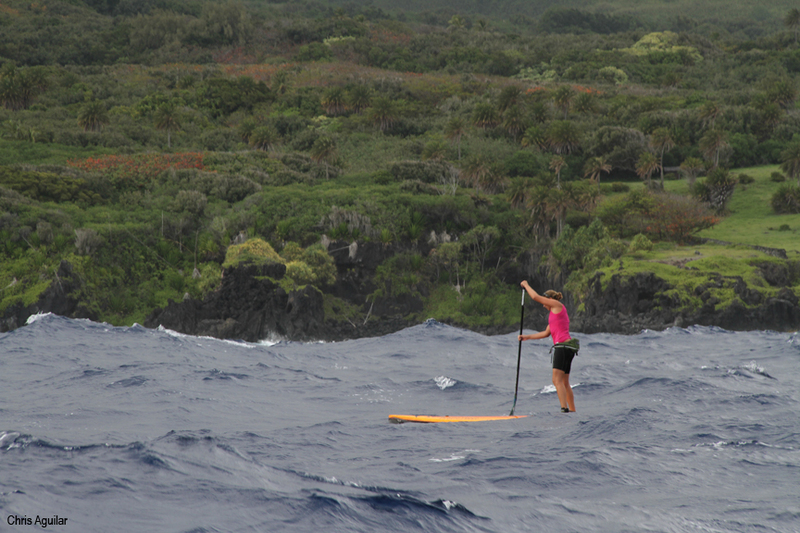 One of the biggest hassles when it comes to paddling in Hawaii is bringing a board and a paddle. To alleviate this hassle, we will provide you with a GOOD downwind paddleboard, either prone or standup depending on your preference. Paddles are pretty frustrating to travel with. It will cost a minumum of $150 round trip to bring your paddle to Hawaii, which you are more than welcome to do if you really would like to have your own paddle. If you would prefer to have a paddle waiting for you here, we can rent you one for $100 to use while you are here. – If cancellation is made 90 days in advanced of your scheduled retreat start date you will be able to apply your full payment towards another retreat. – If cancellation is made less than 89 days 50% of payment will be non-refundable. Although not likely, if we determine that a retreat must be canceled or retreat date must be changed for any reason we will transfer your full payment to another retreat date or give full refund on payment made. However, we are not responsible for any expenses made in preparation made for retreat (such as work, airfare, or any other cost in preparation for retreat). It is recommended that you purchase travelers insurance that could benefit you in the case of cancellation, as well as medical emergencies, lost luggage, delayed or cancelled flights, etc.